'MLM' The American Dream Made Nightmare: 'Herbalife' propaganda paints Bill Ackman as unethical and dishonorable. 'Herbalife' propaganda paints Bill Ackman as unethical and dishonorable. The bosses of the 'Herbalife' racket have been bluffing and on December 20th, 2012, hedge fund manager, Bill Ackman, called their bluff by revealing he was holding a vast short-selling position involving around $1.2 billions of 'Herbalife' shares. However, at the same time Bill Ackman laid his own winning-hand on the table (by publishing a detailed analysis of why he considers the legally-registered corporate structure known as 'Herbalife' to be the front for a vast and damaging pyramid fraud and, therefore, effectively-valueless), he also declared that all the profits he will personally make from this tainted deal will be handed over to charity. The laughable, but predictable, reaction of 'Herbalife' boss, Michael Johnson, was to continue his bluff, by steadfastly pretending innocence whilst accusing Bill Ackman of wilful market manipulation, i.e. lying in order to damage a valuable American enterprise and make money. Yet neither Michael Johnson, nor his previously-aggressive echelon of attorneys, have been able to refute Bill Ackman's published analysis of 'Herbalife' by providing quantifiable evidence which would prove that the so-called 'Herbalife MLM income opportunity' has generated any significant, and sustainable, revenue other than that deriving unlawfully from a never-ending chain of losing investors around the world. This is because, for decades, the bosses of the 'Herbalife' racket have been riding on the coat tails of the 'Amway' racketeers - operating a dissimulated closed-market swindle (right under the noses of regulators and financial journalists), in which they have been laundering billions of dollars of unlawful, losing investments (based on the false expectation of future reward), by falsely-declaring these payments as lawful sales (based on value and demand). Sometimes, when looking at cults, you need to pinch yourself, to make sure that you are not dreaming. As a result of inside information which was apparently first touted (but without any takers) by a PR specialist working for the 'Herbalife' mob, to various mainstream media publications, the 'Wall St. Journal' reported last week that US law enforcement agents have launched a probe to determine whether short seller, Bill Ackman, has been engaging (via paid third parties - activists lobbyists, consultants, etc.) in unlawful market manipulation, to drive down the price of 'Herbalife' shares. (Bear in mind that core 'Herbalife' adherents have been programmed to believe that Bill Ackman is a ruthless Wall St. Shark who has invented a pack of lies about 'Herbalife' simply to make money). Within hours, this carefully-constructed, black propaganda story was all over the mainstream financial media, but it had become qualified as the Office of the Mahattan US Attorney, and FBI agents, checking the voracity of complaints filed by a few alleged 'Herbalife' victims who had been traced by sub-contractors working for 'Global Strategy Group' (a reputable consultancy firm working for Bill Ackman's Pershing Square Capital). As a result of this latest reality-inverting chapter of the 'MLM income opportunity' fairy story, the market price of effectively-valueless 'Herbalife' shares, rose by more than 8%. Typically, when this two-dimensional mixture of lies and truths had already gone around the world, the multi-dimensional truth was still getting its boots on. U.S. authorities investigating potential manipulation of Herbalife Ltd.'s shares by consultants working for billionaire investor William Ackman will find it difficult to prove that false statements were deliberately made to drive down the company's value, securities lawyers said. In a probe that began last year, the FBI and the office of Manhattan U.S. Attorney Preet Bharara have been examining whether the consultants solicited people to file baseless complaints with regulators regarding Herbalife, two people familiar with the matter said. There is no indication that Ackman himself is a target of the investigation. News of the probe has thrown a temporary shadow over the more than two-year campaign by Ackman and his hedge fund Pershing Square Capital Management against Herbalife. Ackman alleges that Herbalife is a pyramid scheme and he has taken a $1 billion short bet that its stock price will slide. The nutritional supplements seller has long denied the allegations, saying the campaign is based on misinformation. U.S. law defines market manipulation as artificially raising or depressing the price of a security for the purpose of inducing trades by others. Potential methods include orchestrating phantom trades or spreading false information. In the most common type of market manipulation, someone buys or shorts a stock, spreads misinformation about it to drive its price up or down sharply, and then reverses their position to take a profit. The scheme, commonly known as a "pump and dump" or "buy, lie and sell high" scheme, depends on the manipulator reversing their position before those being deceived catch on to what is happening. However, lawyers with expertise in securities law say that the Ackman campaign has not attempted to hide what it is doing and has argued its stance very publicly. Ackman has also pledged to retain his short position in the stock until Herbalife is exposed as a pyramid scheme and its stock goes to zero. "For me, it's impossible to imagine that Ackman is involved," said Jonathan Macey, a Yale University professor who has made public comments in defense of the tactics of short sellers, including Ackman. "If he had made up some lie about the company, he hasn't profited from that, because he's still short. In manipulation, at some point you've got to transact the security. Otherwise, there's no point to it." Herbalife stock rose 8.2 percent on Friday because of news of the probe. The Wall Street Journal was first to report the existence of the investigation after hours on Thursday. Spokesmen for both the FBI and the Manhattan U.S. Attorney's office declined to comment. It was not clear on Friday whether the investigation had focused on particular individuals, or whether any wrongdoing had been discovered. One of the sources said it could end without any charges being filed. In a statement on Thursday night, Herbalife spokesman Alan Hoffman said that Ackman's bet meant he had a direct financial interest in hurting Herbalife and had orchestrated a false and fabricated attack against the company. "We are confident in the strong fundamentals of our business model," he said. On Friday, Herbalife declined to respond to questions. Ackman says he believes Herbalife is a company that is based on signing up more distributors and getting them to buy its products, rather than on meeting the needs of consumers, and that as markets become saturated with new distributors the business is doomed to fail. Ackman told CNBC on Friday that some people who had done work for one consulting firm he was using, Global Strategy Group, had received subpoenas. 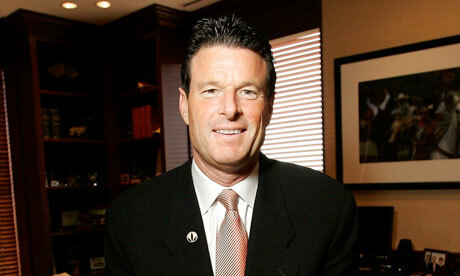 He said that the firm had hired some subcontractors around the country. He later told Reuters in an interview that his firm was still working with Global Strategy. "We work with the best of the best. We can afford to. My belief is they conduct themselves appropriately," he said. A Global Strategy spokesman said in a statement: "It is our clear understanding that neither the firm nor any of our employees are a target of any investigation, and we are confident that all our work surpasses the highest legal and ethical standards." Market manipulation prosecutions generally require proving intent to lie or deceive, which is difficult without an incriminating document, securities lawyers said. "You're always dealing with circumstantial evidence. We don't have the ability to probe people's minds," said Eric Chaffee, a University of Toledo law professor. 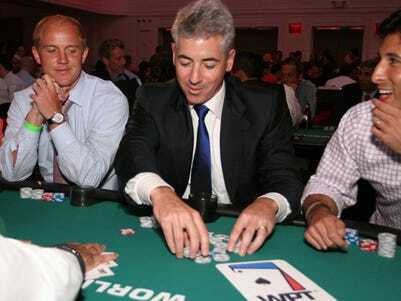 Ackman said Pershing Square's very public campaign was the furthest thing from market manipulation. "What have we done? We've shorted the stock. We've disclosed the size of our position. We've made a 330-page PowerPoint presentation," he told Reuters. "Market manipulators don't make 330-page PowerPoint presentations and broadcast them globally." Emphasizing the public nature of his campaign, he added, "No one could say anything worse about a company that what we've said about Herbalife. It's a pyramid scheme. It's a criminal enterprise that harms poor people." U.S. guarantees of free speech mean that short-sellers have a right to talk down a stock price, even with the assistance of public relations and lobbying firms like the ones Ackman has hired. The U.S. Securities and Exchange Commission often brings civil charges against the manipulators of penny stocks, which are most vulnerable to misinformation. Enforcement cases are much more rare among big, listed companies. "Prosecutions of market manipulation by the government are as scarce as hen's teeth," said James Cox, a Duke University law professor. I think that Herbalife, Amway, and MLM in general, have conceded the point (raised by nearly all critics) that the 'distributors' or 'members' themselves are the 'customers', the 'buyers'; and are the only market for mlm product. MLM's Achilles's heal, and enduring vulnerability, has been the lack of real world evidence that 'non-incestuous/non-internal'' sales are of significant percentage and number so as to satisfy the standards of the 70%/10 customer rule. The 'Amway Ministry of Truth' has been proposing that there is no significant difference between being a distributor and being a customer. How ingenious this MLM fairy tale story of owning and operating your own successful business really is? Of course, the only chance for success is to build a pyramid of distributor/customers below you that might at some future date begin offsetting the cost of being your own best customer. I think that price fixing is the most obvious crime committed by MLM. On equal footing is the crime of 'over-selling' the potential to profit. Not many would buy into the ideals of MLM if it weren't for the Beverly Hillbillies' dream of going out and shooting at some food and finding 'Texas tea' in the woods behind your log cabin. Attacks against Ackman can be summed up as 'Don't like the message? Then 'destroy the messenger'. MLM cult adherents believe in the mystical power of the pyramid. They might as well believe in producing a 'moon child' as well. Read the word 'seller' ('distributor' ,'business owner') as 'buyer' ('member', 'discount customer'), stupid, and then theft is legal ! In reality, all the thought-stopping jargon-labels that 'MLM income opportunity' racketeers have hung around the necks of their victims in order to obstruct justice and continue to commit fraud, have been part of an overall pattern of ongoing major racketeering activity, as defined by the US federal Racketeer Influenced and Corrupt Organizations Act 1970. The jounalists who first interviewed Michael Johnson back in December 2012 demonstrated their own pitifully low level of understanding of how closed-market swindles dissimulated as 'direct selling schemes,' function. This was partly due to the fact that Bill Ackman's initial presentation was not sufficiently accurate or aggressive. Some people (including myself) did try to explain this to him, but only after the event. Thus, the CNBC journalists limply asked Jonhson what percentage of 'Herbalife's' declared 'sales' have been to persons who are not part of the company's own 'distribution network', and Johnson forcefully said 90%. His psychological dominance killed this line of questioning, but this 90% reply, was an outrageous lie. Probably on the advice of his attorneys, Johnson later claimed that he had 'mispoke' and that the majority of 'Herbalife sales' were, in fact, to 'members' of 'Herbalife' who were 'discount customers' and who were, therefore, not 'distributors.' He also explained that 'Herbalife 'distributors' were now going to be rebranded as 'members' in order to avoid any further confusion. Yet , for 30+ years, all persons who have signed contracts with 'Herbalife' have been defined in these take or leave it documents, as 'distributors,' and they have been offered the incentive of commission-payments on their own purchases of fixed price Herbalife wampum, and on the purchases of anyone whom they manage to recruit, etc. ad infinitum. Even today, anyone under contract to 'Herbalife' as a so-called 'member,' still has the same economically-incestuous incentive to keep buying the fixed price wampum, whether they manage to recruit anyone else or not. In other words, Michael Johnson was simply trying to pull the wool over the eyes of casual observers, because anyone under contract to 'Herbalife' cannot have been regularly buying fixed price 'Herbalife' wampum entirely based on value and demand. 'Herbalife' contractees have also been buying the effectivelyunsaleable wampum based on their false expectation of future reward. What percentage of 'Herbalife's' declared revenue has ultimately derived from authentic retail customers who were members of the general public and who were not under contract to 'Herbalfe' and who, therefore, did not hand over their money in the false expectation of future reward? Obviously Michael Johnson and his criminal associates are never going to agree voluntarily to be interviewed by anyone who fully understands how their criminogenic enterprise has functioned. Unfortunately, even now, I'm not entirely sure that US prosecutors are sufficiently well-informed to ask the likes of Michael Johnson this question. What does Herbalife propaganda say about you David? 'Herbalife' propaganda doesn't yet mention me by name, but then, 'Herbalife' propagandists don't want to draw attention to me, because, how would they explain me? One of the more curious persons posting opinions of so-called 'MLM schemes' on the Net, goes by the name of 'Kasey Chang.' This fellow has had plenty to say about me. Chang's usual tactics have been to pose as a fair minded independent observer. In this role, he ignores all my evidence-based analyses, and then grossly simplifies, and modifies, what I have actually said, in order to paint me as a fanatic who will not accept reasoned arguments. As I've previously pointed out: Why would any honest person want to act as an unpaid defender of 'MLM' racketeers, when they have already got an echelon of highly paid intellectual prostitutes on the payroll?